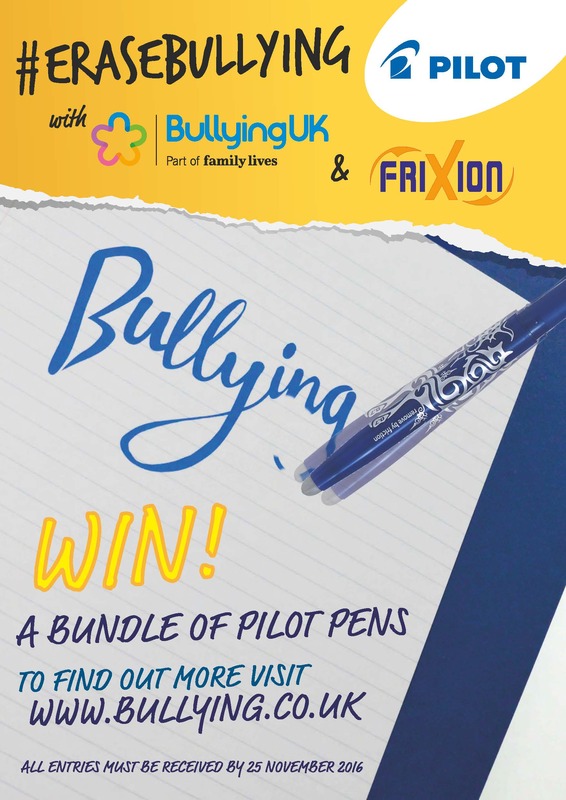 Bullying UK, part of Family Lives and Pilot Pen UK have launched an anti bullying competition to help parents, pupils and teachers tackle bullying throughout the UK. The competition wants schools, community groups, families to encourage children and young people to turn over a new leaf and #erasebullying. Entries are welcome in a variety of forms and schools, youth groups and individuals are invited to send in a creative story, a storyboard, a drawing, a short film or a vlog describing how they would #erasebullying. 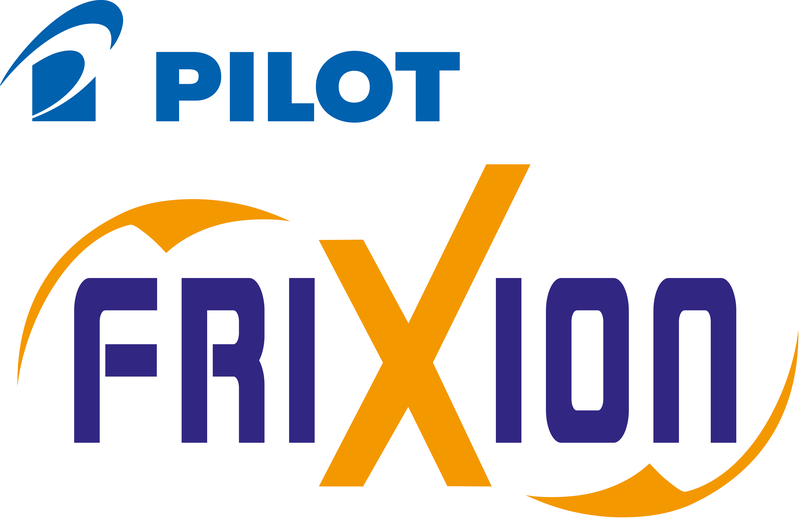 The winning school/youth organisation, and individual will receive a prize of a Pilot Pen UK educational pack containing FriXion erasable pens and colouring pens and a range of rollerball pens, fountain pens and whiteboard markers. The competition is open to all UK residents (including residents of the Channel Islands and the Isle of Man). You must be aged between 6 and 18 years on the closing date 25 November 2016 in order to enter. All entries will be judged in the first instance by members of Family Lives. This first judging panel will decide which entries should be put forward to the second stage judging. Entries for Bullying UK and Pilot Pen UK’s #erasebullying competition must be received by no later than 5:00 pm on 25 November 2016. The entry must be the entrant’s own original work, not defame, nor breach any copyright. All submissions must include: name, date of birth, address including postcode and telephone number and email address of the entrant and their parent or guardian or school. All competition entrants can enter via email to webcoordinator@familylives.org.uk or you can send us your entries by post to: #erasebullying Competition, Bullying UK, Endway House, Endway, Hadleigh, Essex, SS7 2AN. We would really appreciate your support if you could spread the word about our competition. On social media? Use our #erasebullying and spread the word about anti bullying. If you would like to download a copy of our poster and display it, we would appreciate your support. Please click here to download a copy. Please read our full terms and conditions before entering this competition. If you are concerned about bullying or would like more information on any bullying issues, visit Bullying UK for support and advice.